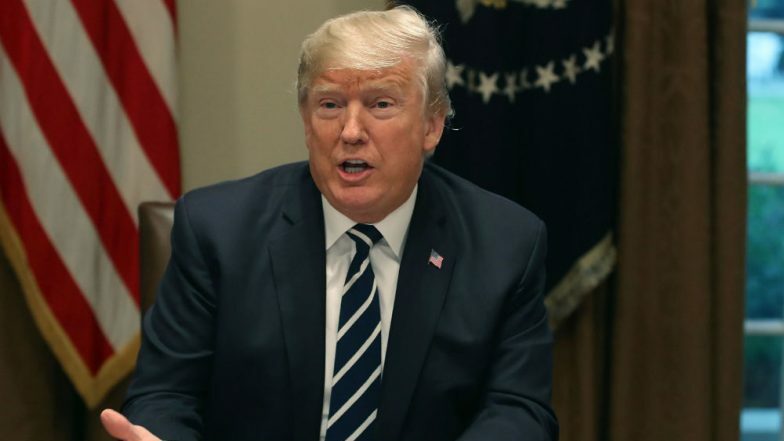 New York, March 28: US President Donald Trump on Thursday called on OPEC to boost oil output following a fairly steady rise in crude prices in 2019. "Very important that OPEC increase the flow of Oil. World Markets are fragile, price of Oil getting too high. Thank you!" Trump said on Twitter at around 1230 GMT. Oil prices took a brief, sharp turn downward after the statement before recovering somewhat. Near 1300 GMT, US oil benchmark West Texas Intermediate for May delivery was down 88 cents at $58.53 a barrel on the New York Mercantile Exchange. Since becoming president, Trump has periodically put pressure the Organization of the Petroleum Exporting Countries to open the taps to add more supply to the market and lower prices. US President Donald Trump Urges Saudi Arabia, OPEC Not to Cut Oil Production. OPEC in December reached a deal to with Russia and some other producers to limit output to shore up prices. Since January, US oil futures have risen 28.6 per cent while oil futures in London have gained 23.9 per cent.